Sandra Schmid was born in Vancouver, Canada and received her B.Sc. Degree (Honours) in Cell Biology at the University of British Columbia. She moved to the U.S. in 1980 for graduate studies with Jim Rothman at Stanford University. She was a Helen Hay Whitney postdoctoral fellow and Lucille P. Markey Scholar with Ira Mellman and Ari Helenius at Yale. Schmid moved to The Scripps Research Institute (TSRI) in 1988 and rose through the ranks to ultimately serve as Professor and Chairman of the Department of Cell Biology, before being recruited to UT Southwestern in 2012. 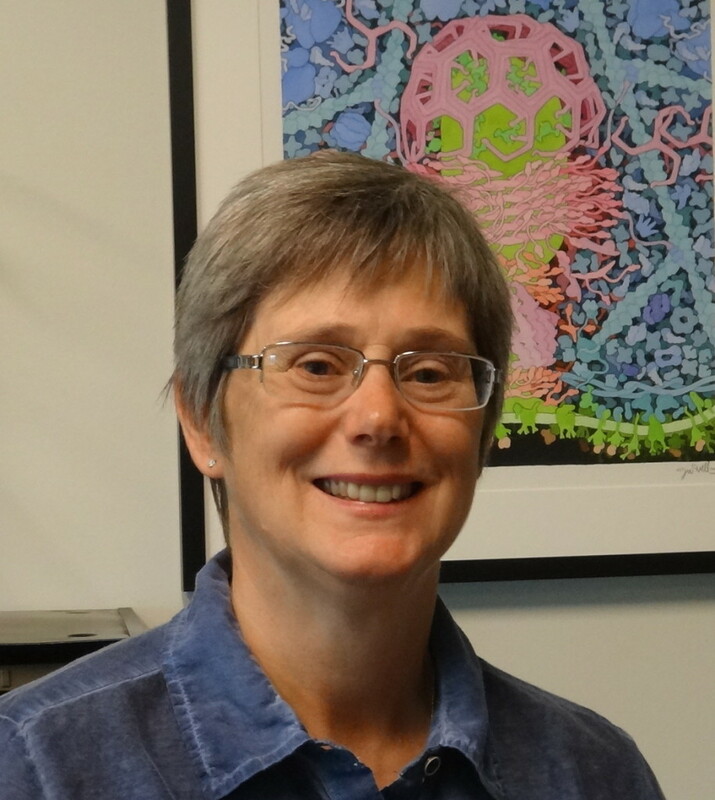 Schmid’s research, published in >130 papers, is directed towards elucidating the molecular mechanisms and regulation of clathrin-mediated endocytosis, and analyzing the structure and function of the GTPase, dynamin. In addition, Schmid has been a leader in the scientific community. She was co-founding editor of Traffic, Editor-in-Chief of Molecular Biology of the Cell and President of the American Society for Cell Biology. She has received numerous awards, including an ASCB/WICB Jr. Career Recognition Award, an NIH MERIT Award, the William C. Rose Award from the ASBMB and the ASCB/WICB Sr. Leadership Award. Sandy is committed to mentoring young scientists and gives frequent career development and time management seminars and workshops for postdoctoral fellows and junior faculty throughout the US. As a mother of two, now college graduates, she remembers fondly coaching their soccer teams, going on family RV trips and attending their recitals.